I probably went overboard with this one, but I wanted a candy dispenser that was a little bigger than the ones I found in my searches here. 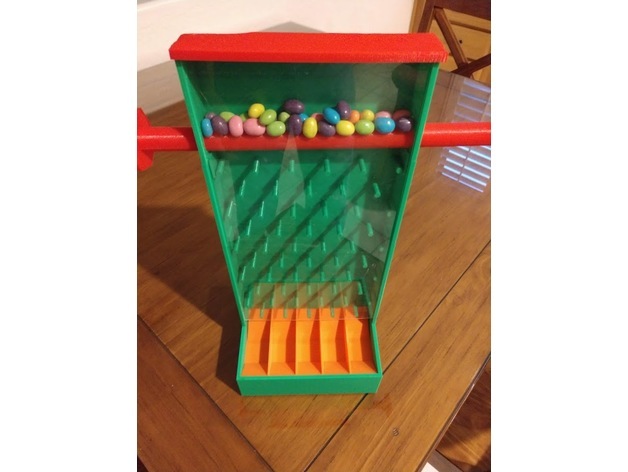 It’s designed for medium sized jelly beans, though other candies or gumballs will probably work. It is a significant print time with all the various parts.